My girlfriend Claire Sanders made this painting for our friend Liz Prince, for her birthday. 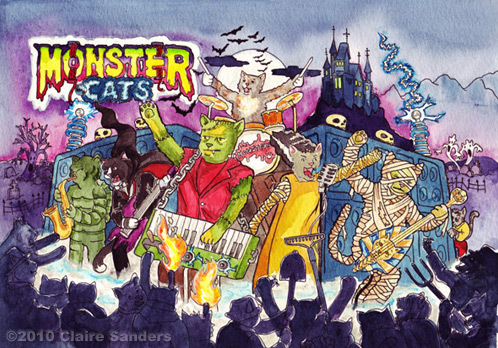 Liz has two cats named Wolf-man and Dracula, so Claire created an all-cats version of the Monster Bash backglass, placing Liz's cats in the band, playing the drums and lead guitar. Pretty rad, huh?! Holy smokes you guys, I visited a brand new TOP NOTCH pinball arcade in New Hampshire this week, the Pinball Wizard Arcade in Pelham, NH. It was so great to see a BRAND NEW arcade done RIGHT. They had about 75 pins on location, all in great working order, and not just any pins, some of the best of the best! Spider man, Avatar, Lord of the Rings, Rollercoaster Tycoon, Twilight Zone, Addam's Family, Banzai Run (which I played, which was crazy! ), Xenon, Captain Fantastic, Arabian Nights, Flash, Cirqus Voltaire, Black Hole, Dr. Dude, Black Knight, Black Knight 2000, High Speed, The Getaway, BOTH Pin 2k machines and dozens more I can't even remember. It was amazing! I met Dave Marston there (who supplied me with photocopies of Multiball #10, thus completing the entire run for me and Jon!) and we chatted a bit with the owner/operator of the arcade, Sarah St. John. While we played, she was walking the floor, opening up machines and fixing small things here or there. Sadly, I only had about an hour to spend at the Pinball Wizard Arcade, but Jon and I will definitely be back for a full day of pinball SOON, and we'll let you know how it goes! 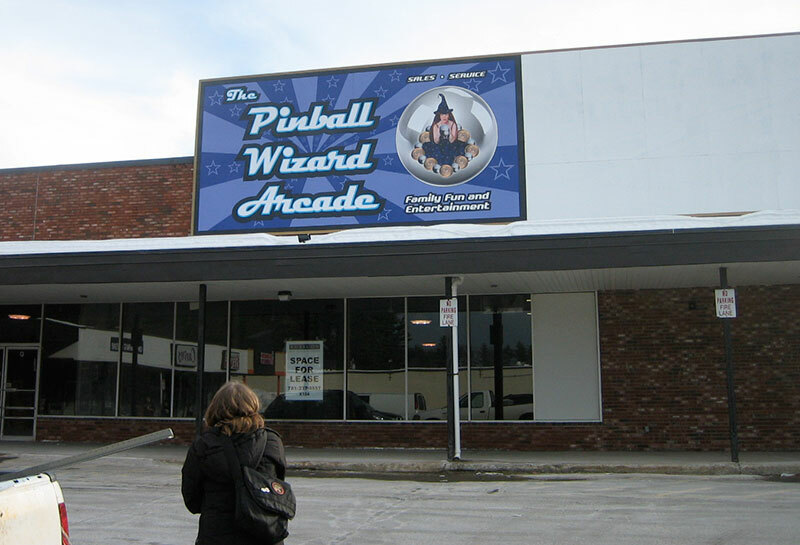 In the meantime, if you are close to Pelham (a stone's throw from Boston) head to the Pinball Wizard Arcade, it's worth the trip! I LOVE DRAWING PINBALL MACHINES! Oh, and playing pinball. DUH! 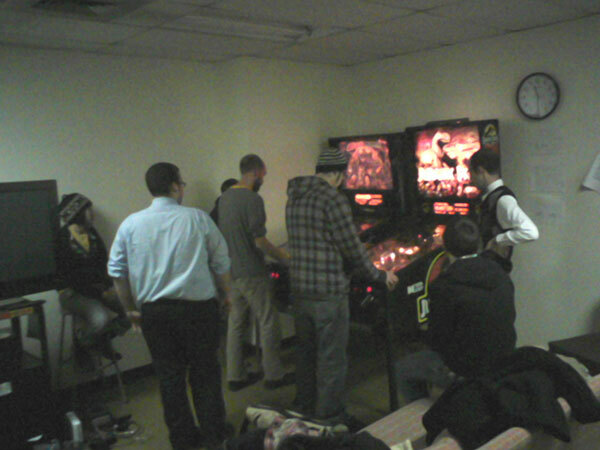 Alec, Claire, Colleen, and a whole HOST of other pinball / arcade lovers took a trip to Funspot this weekend. I don't think I need to say it again, but that place is completely ballin'! 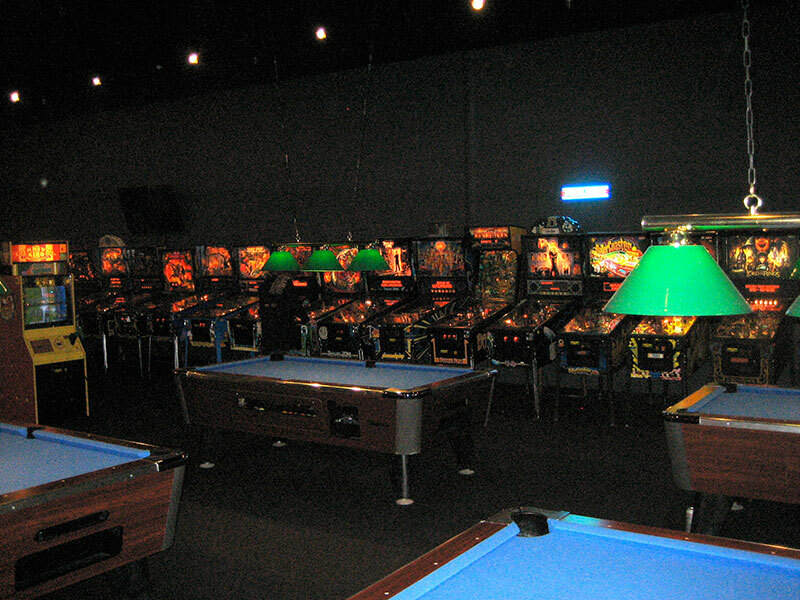 They have around 35 pinball machines, seperated out in Electro-mechanical, early Solid State, and more recent Solid State Games. Here's the pros and the cons. -A lot of machines! You never needed to wait to play! -Great variety and classic examples of different eras! 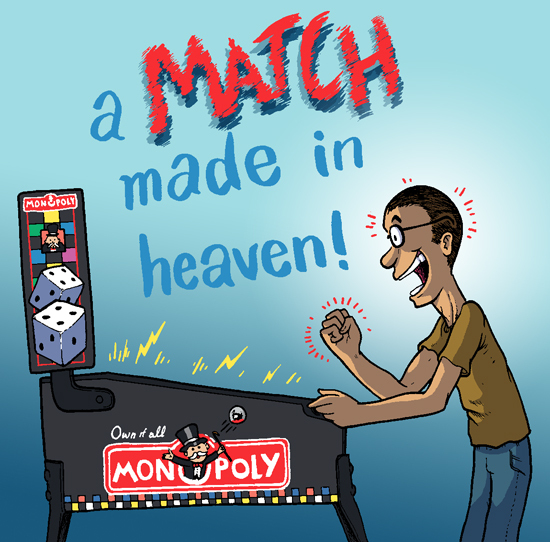 -Cheap games! All the pinball games were only 1 token! -THEY HAVE MONOPOLY! The 2001 Stern Monopoly game is one of my favorite games of all time. -Machines in various states of disrepair. *Sigh* I know this is going to make me sound like a negative Nancy, but I was really disappointed with the amount of inoperative games. There were probably 15 out the 35 that were turned off. Some of the ones that were on also had problems. Funhouse's alpha-numeric displays were illegible, the middle ramp needed to start the multiball on Fire wouldn't pop up, Paragon's 2nd right flipper was freaking out, you know, lots of little things. Which is really too bad. Now, I'm not unrealistic. I'm cognizant of the fact that Funspot is the world's LARGEST ARCADE! I'm sure that maintaining those machines is a full time job, and with so many people getting play time on them, it must be hard to get in and make even little adjustments. 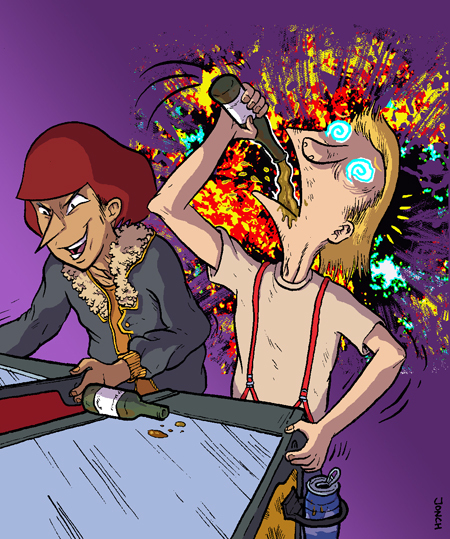 -My girlfriend played the heck out of the Chiller Arcade Game. This game is the most violent, messed up thing I have ever seen. 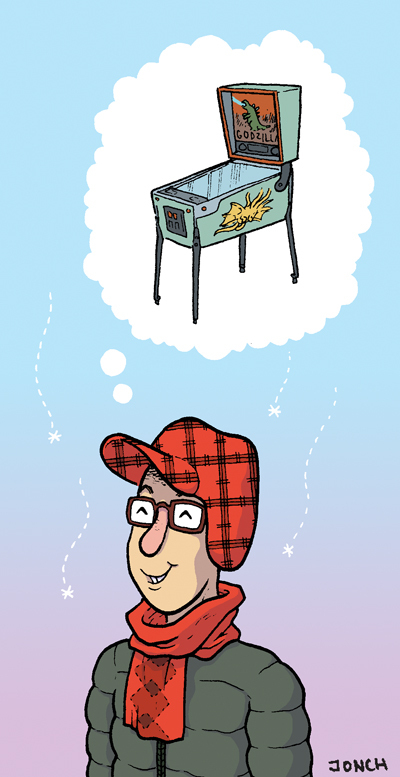 -Alec and I met up with Dave Marston (who Alec had met earlier ) and we talked pinball. He was super-duper awesome and gave us a copy of the last issue of Multiball that we needed to round off our collection! It was great to play some pinball with him! -FIRE! As I mentioned before, there was a problem with the center ramp popping up on the williams game Fire needed to start multiball. The real tragedy in this was that I LOVED THAT GAME! I would love to own one someday! It was a blast to play, and that bell on top was super beautiful. Well, I think that's it! Let's go play some pinball! Another Successful Pinball Night... and a new high score! Every week here at CCS, Steve Bissette hosts a movie night, where he shows some of the rare gems from his film collection to any of the students who want to swing by. Last week Jon and I kicked off the movie night by showing Pinball 101. Then Steve showed a few dinosaur themed movies, to celebrate Jon's repair of his Jurassic Park machine. Afterwards, we put the machines on free play, for people to try out some new moves. Jon and I weren't sure what time the movies would wrap up, so we met at the pinball machines at about 9:30pm. We played and played, until about 11pm and then, just as we were about to give up, a whole BUNCH of people came and played for another hour. Here's a shot of the action, two four-player games going strong! 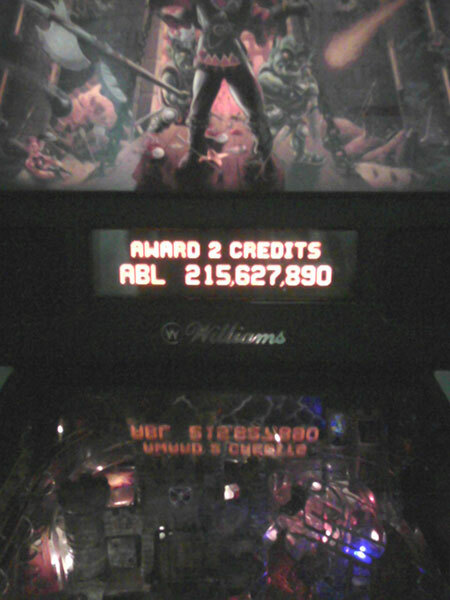 The next day I went in to play my daily game (or two) of pinball, and I managed to beat my previous record of 210 Million on Medieval Madness, getting a new Grand Champion score, 8 castles, 6 peasants and 52 trolls! I was also ONE SHOT away from completing Battle for the Kingdom! All I had to do was shoot the castle one last time and that 50 Million would have been mine. Oh well, next time!